Taking the fight at 10 days notice, Stephen was originally meant to be fighting someone else but found out he was fighting Pacco at the weigh in. 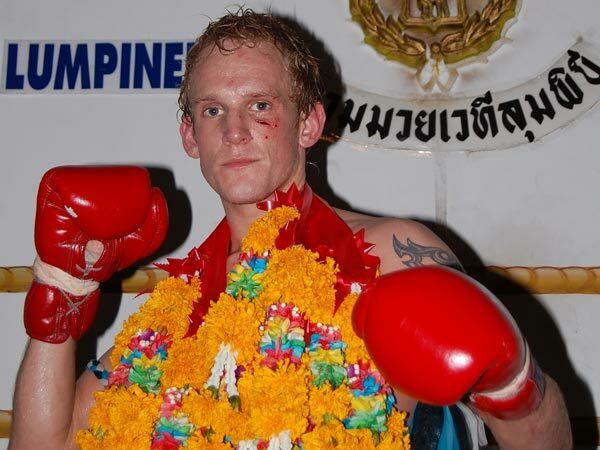 Fighting at 70kg - 3kg above his usual fight weight. The first round Stephen used teeps and body kicks to keep him away as Pacco was trying to punch him out. Keeping a tight guard, Stephen dropped him in the clinch at the end of the round. 2nd round Pacco opened up with body and low kicks but Stephen managed to cut him and started to push the fight with strong knees. In the 3rd Pacco came back into it and returned the favour, cutting Meikle and taking the round. The 4th was fairly even though Pacco wad dumped onto the ground from the clinch. For the 5th, Stephen cemented the win pushing forward with strong knees and teeps. 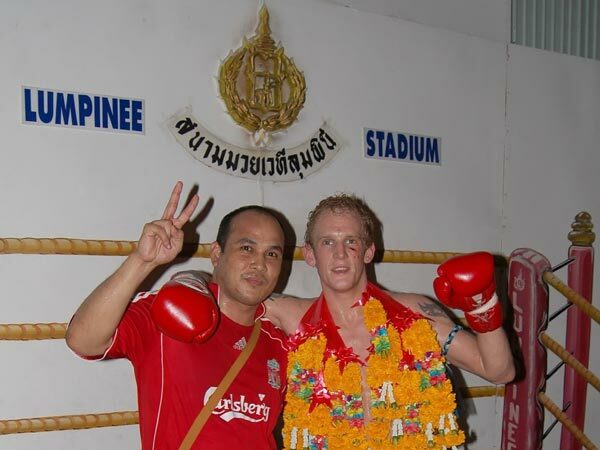 This performance makes Stephen the first Caley fighter to fight at Lumpinee and the first to win at one of the two main stadiums in Thailand. 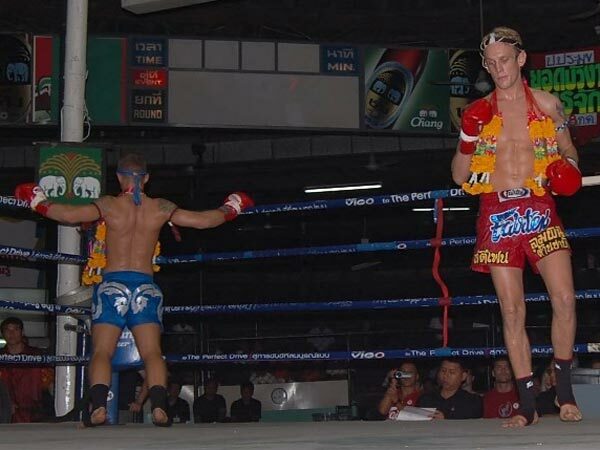 Bartosz 'Pacco' Koscielniak from Germany fighting out of Muaythai Plaza 2004 in Bangkok was a creditable opponent boasting over 50 K1 and muay thai fights. Points victory with 10 stiches from an elbow in the 3rd round along the way. Thanks to Tom Brown and Chris for the photos.